TaxAssist Accountants | Should I register for VAT? Q: I have just left my job to start my own contracting business, I have one client so far. Should I register for VAT? A. Congratulations on going out on your own! The quick answer is yes, if your business services or sales are taxable, and if the value of the services provided exceed or is likely to exceed €37,500. If you end up selling goods the threshold is different at up to €75,000. You don't mention what services you will be providing so it is important to seek specific advice on this. 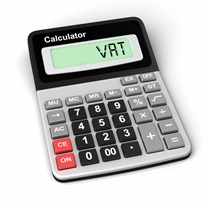 Rememeber also to never add VAT to your sales invoices unless you are registered. To do so is a criminal offence!